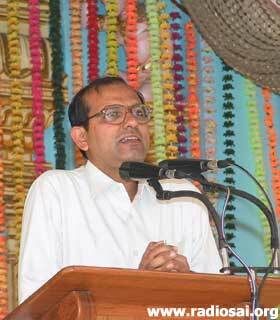 Sri Sanjay Sahani is a Gold Medallist from Sri Sathya Sai University . He has served as the Warden of Sri Sathya Sai Hostel, Prasanthi Nilayam and is currently the Principal of the Brindavan Campus of Sri Sathya Sai University. 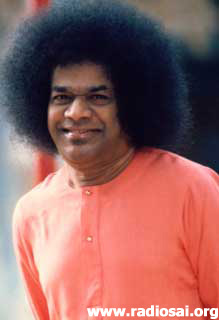 This is the transcript of the talk he delivered to the delegates of Sri Sathya Sai World Youth Conference during a workshop session in Prashanti Nilayam on July 26, 2007. We are living in extra-ordinary times. It is the best of times and also the worst of times. It is the best of the times because man will never get an easier opportunity to redeem himself than a time when a Divine incarnation walks on earth. It is also the worst of times, because the very presence of a Divine incarnation amidst us is a sign of the declining standards of living, which have warranted His coming. Bhagavan Himself this morning was telling us, “Janthu naam nara janma dhurlabham”. Of all the 84 lakhs of life forms that are possible, the human birth is the crowning piece of God’s creation. Having got such a gift from the Divine, what is our role? A few years ago, while addressing devotees in Brindavan, Bhagavan said, “I do not want your Bhakthi or Devotion. I want your transformation.” What does Bhagavan mean when He says, “I do not want your Bhakthi?” That devotion which does not lead to transformation is no devotion at all. What He wants is that our love for God should goad us, should prompt us, and should nudge us to action. One of the queries that one of our Sai Youth has expressed is: “Why should we spiritually transform ourselves?” Is it because Swami wants us to transform? Or is it because we must transform? Or is it because the world needs our transformation? Or is it because the world is going to be damned if we do not transform? Why should we transform? That is a very good pregnant thought. I wonder if you have ever seen a caterpillar, walking on its little legs on a leaf. As a caterpillar evolves, it grows into a beautiful butterfly, which hops from flower to flower, colourful, giving joy to everyone around. Have we ever asked ourselves, “Why should a caterpillar give up its existence as a caterpillar and become a butterfly?” Because its destiny is to be a butterfly! It is manifesting its own inherent nature when it transforms into a butterfly. When we say that for whose sake I should transform, then I would like to ask, if you are sleeping, for whose sake should you wake up? For your own sake! When the Lord is walking on earth, if we are sleeping, time will be lost and then if you wake up, what a misfortune? One very beautiful aspect that I have experienced and perhaps many of you have also felt the same is this. When we come to Bhagavan, He accepts us as we are, with all the angularity of personality, with all the vagaries of our minds, with all our shortcomings, He accepts us completely as we are. We have lots of problems in accepting Him. We have so many conditions…1, 2, 3, 4. “Swami, if you fulfil this, then I will accept you.” But Swami is unconditional in His Love. But then He gives us what we ask, so that we begin to ask Him for what He has come to give. That is to awaken us to our own reality. Decades ago, one day, here in Prashanti Mandir, as Bhagavan was passing by amidst the students, we observed that there was a little reddishness in Swami’s eyes. We were a little concerned and thought that it would go away, and every darshan that Swami would walk by, we would peer into His eyes to see, has that so called ‘ailment’, disappeared? But days passed and nothing happened. In fact, there was an elderly Doctor in the Mandir, He also expressed his concern to Swami. The Vedas declared, “Shrunvantho vishwe, Amruthasya Puthraha” that is “Listen my dear child, you are not a mortal being. You are the child of immortality!” If this is too high for us to understand, the same thing can be put in much easier terms. We are the children of Sai. If Sai represents the immortal spirit, we as His children, also embody that immortal being. 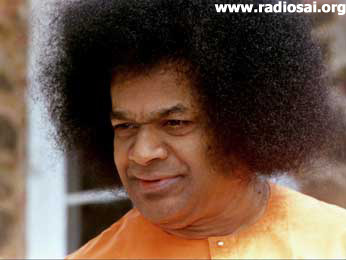 Swami explained, “See, for the last so many days, you have been worrying about my eye. It has come in the natural course of events. And it will go away, in the same way. For the last 60 years of my life, I have never even once used My Divine Powers for Myself. It has always been for the benefit of the students, for devotees. But because you are feeling so much, I give you a solution. As You and I are one, there is no difference between Me and you. This is not My body, this is yours! You pray to Me that I cure the ailment that has come upon this physical frame and I assure you that it will be cured.” It was a great revelation as students to understand that we are truly inheritors of Swami’s spiritual heritage. That is the heritage of every Sai Youth! What do the letters of the word “SAI” stand for? Swami talks of S.A.I. “S” stands for Spiritual transformation; “A” stands for Association transformation; “I” stands for Individual transformation. And Swami expects each one of us to rise to His expectations. What Does Bhagavan Expect from Us? What does Swami expect from us? He said, “Cultivate good thoughts; get a good name”, that is my expectation from you! “The end of education is character”, Bhagavan has often reminded us. 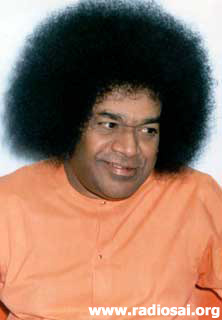 If a Sai Youth does not have character, he loses his right to use the name of Sai, associated with himself. Swami Himself is the embodiment of perfection. How to Build Our Character? Swami, I tell you, is the greatest psychologist, the greatest psychiatrist. He said, “Bangaru, my dear one, this is the season! If in rainy season, you don’t get rain, when are you going to get the rains?” This is the season! Sow a thought, reap an action. Don’t allow the body to follow the thought. At the same time, when you get a good thought, there are 101 reasons where we hesitate to translate into action. Maybe the time is not good, or other people may not come forward; so many reasons we have. When you get a good thought, immediately put it into action. One of the queries (of the Youth) was, “What is the essence of Swami’s message?” Of course, He Himself has chosen to speak on that. The essence of Swamis message is Love. And the easiest way to experience Love, to experience spiritual joy is service. We may not be able to do many things in life. In this age, something that you can certainly do is to serve anybody around you in need. I will perhaps end with this small anecdote. There used to be a devotee in the ashram at Brindavan, in Bangalore, who had a mental problem. And Bhagavan blessed the students, with the privilege and the opportunity to take care of this devotee. It was, in fact, one of the most sought after service activities in the campus. There were a few students who would do this service, in rotation and it so happened that during the summer, there was this student when everybody had gone to their respective home towns. Swami too was not in Brindavan. Very few teachers were around and there was this student who was looking after this devotee and his welfare. Even the washerman of the ashram had disappeared. The student waited, one week, two weeks; three weeks passed. They were twenty-one pairs of clothes collected over 20 days to be washed. This boy waited, the washerman was not around. He gave up and himself washed all the twenty pairs of that devotee unknown to anybody in the Hostel or in the Ashram. 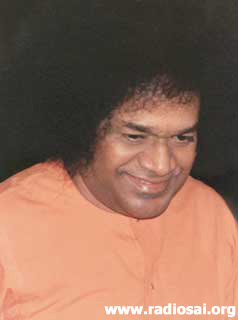 A few weeks later, Swami returned to Brindavan, and suddenly He asked the Warden one day, “Send the boys who take care of that devotee” and when the boys were with Swami, out of the blue, Swami pointed out to that boy and said, “I know that the washerman was away and you personally washed twenty clothes belonging to him” and then He blessed him and filled his hands with gifts. What I am trying to underline is every good little act you do, in the silence of the night, even if nobody around knows it, God knows and is willing to bless you and recognize you for your effort. Brothers and sisters, let me assure you, if you can make this aspiration your heart’s keenest desire, the Advent of the Lord amidst us will not have been in vain. Jai Sai Ram.